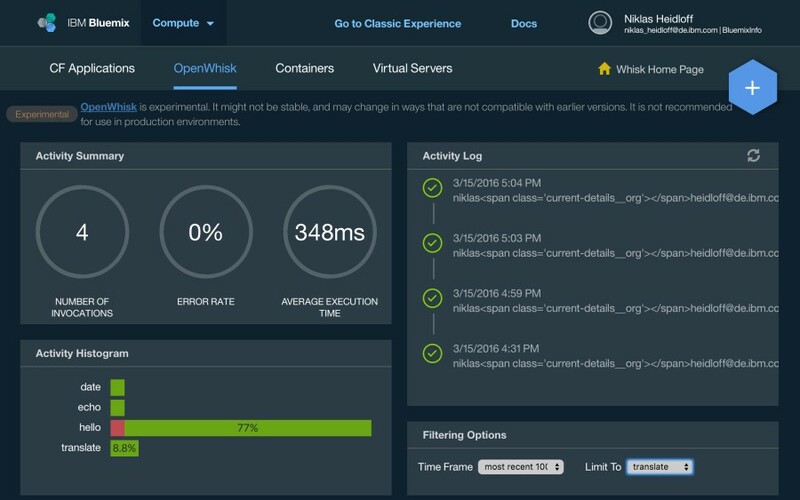 In addition to Cloud Foundry, Docker and Virtual Maschines Bluemix provides a fourth compute option OpenWhisk (experimental at this point). OpenWhisk is an event-driven compute platform that executes code in response to events or direct invocations. In order to deploy the action a CLI is used and the plan is to also support tooling via web browsers. Invoke the following commands to create and update actions. For developing purposes probably the easiest way to test actions is the CLI at this point. The CLI invokes internally REST APIs which means that you can also interact with OpenWhisk via curl or other programming languages. Authentication is done via name and password credentials provided by OpenWhisk. Here is the output of the curl command. 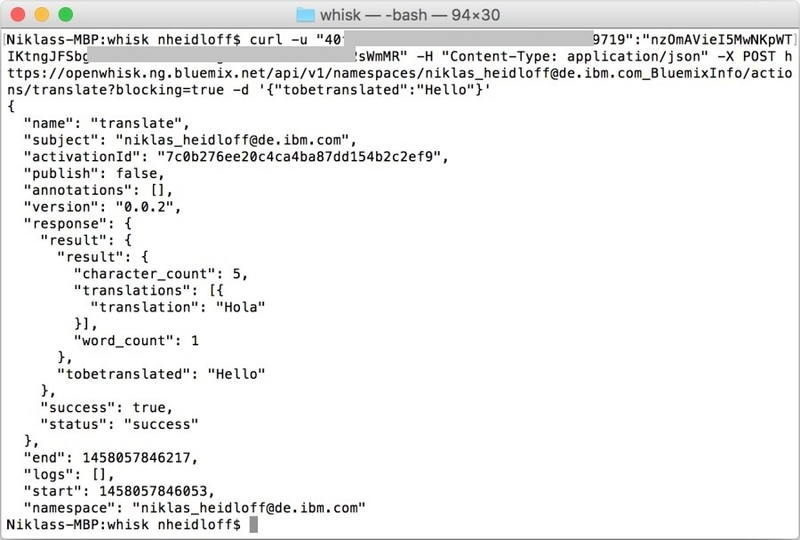 Via the OpenWhisk dashboard on Bluemix you can see activities and logs. To find out more check out the documentation, the open source project OpenWhisk and the image tagging sample from Frederic Lavigne. Pavel, sorry for the late response (vacation). I think I’ve seen some sample code using promises for Watson, but don’t remember from the top of my head where.